SFH Knight - Watch his progress before he joins the other knights, around Lincoln, in the summer. Our knight has been watching the admin team. Spending some time in the Studio. 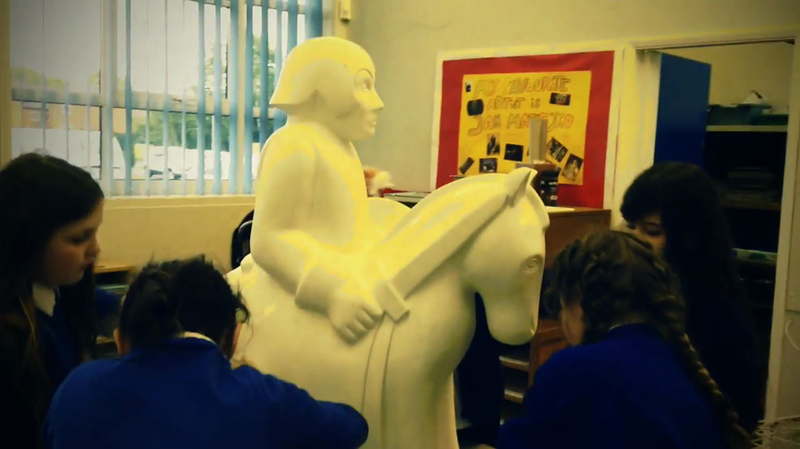 Children at SFH, especially those working in the Arts Award Club, have been working very hard to complete our knight. He is finally finished and ready for his grand unveiling this week! Thank you to every child, member of staff and other friendly helpers who supported us with the creation of our SFH Superhero knight. We look forward to seeing your photos of our knight throughout the summer as you complete the education mini knight's trail. Thank you also to the Nomad Trust for displaying our knight in their shop on Sincil Street.